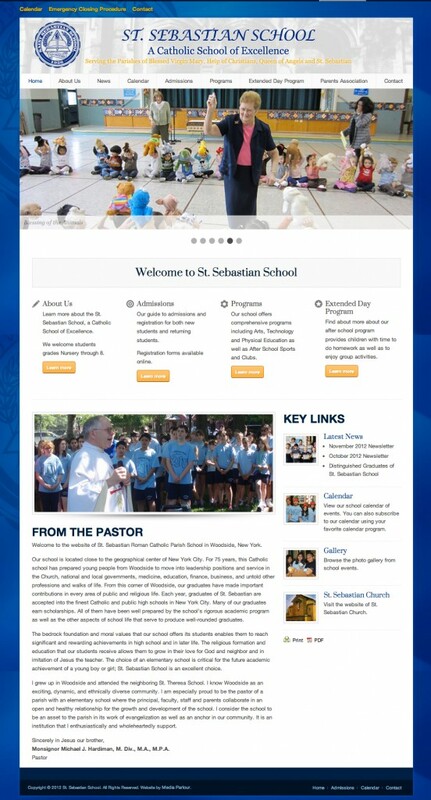 St. Sebastian School in New York needed a fresh look. It had been years since their website had been updated and it was very complicated for them to do so. We moved them to WordPress easily, and made it as easy as possible for both current and prospective parents to get their information that they needed. 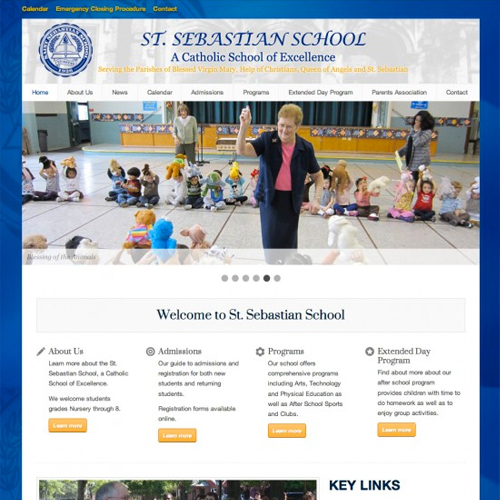 We also helped St. Sebastian School vectorize their logo. All of their logo art files were very outdated. With a little bit of Illustrator work, they now have high resolution logo artwork that they can use on signs and other printing!